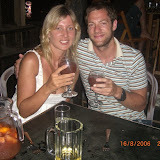 Published on 13/07/2010 in Blogs, Facebook Fan Club: Arugam Surf, front page, people, surf and Traveler's Reports. 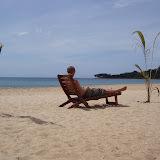 1 Comment Tags: Arugam, Arugam Bay, arugam bay main point long runs, Arugambay, arugamsurf, Siam View Hotel. I am back from Proscar generics Arugam Bay Buy mircette online no prescription and as you’ve probably noticed my blog has been down for a while, that is because there was zero internet where I was staying. Actually that is a lie – there was an internet cafe, but I was too busy chasing peanut to stop and pay 1000 rupees for a duff connection. Photos and full report to follow, however in short, how to describe Arugam Bay....it is gorgeous. Every year, a new lagoon develops at Arugam Bay. Forming a perfect, calm paddling pool next to an exiting surf break: Fun for All! However it is small, so unless you’re there for some serious surfing, you will be twiddling your thumbs over a bottle of arrack. Sweet 🙂 I might be there again next weekend.